From the back streets of London to neon-soaked Las Vegas, organized crime is the world's biggest and most profitable business. A truly global enterprise, no country can claim to be free from the taint of this ever-growing threat to established society. This explosive investigation reveals the past, present and future of organized crime, from the mysterious origins of the Sicilian Mafia and the Chinese Triads to the new emerging global powers in organized crime including the Russian Organizatsiya and the Mexican Cartels. Bypassing the codes of silence that often surround the activities of those involved, in "The History of Organized Crime" David Southwell sets out the history, rules and secrets of every major criminal network across the globe and tackles their crimes, methods and key figures in chilling and compelling detail. 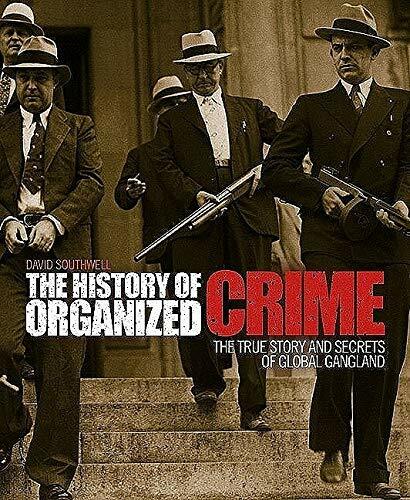 David Southwell is the author of a number of best-selling books on the nature of organized crime, including Dirty Cash: Organized Crime in the 21st Century. He has spent over 15 years researching conspiracies and international crime, the last several as a political insider.